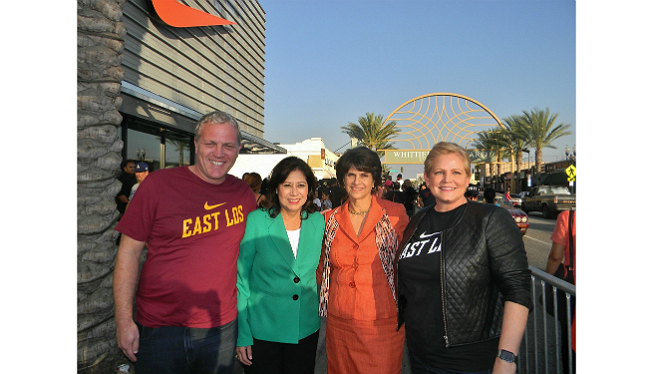 Joining Nike executives and LA County Supervisor Hilda Solis for the grand opening of the Nike East Los Community Store on Whittier Boulevard in East LA. 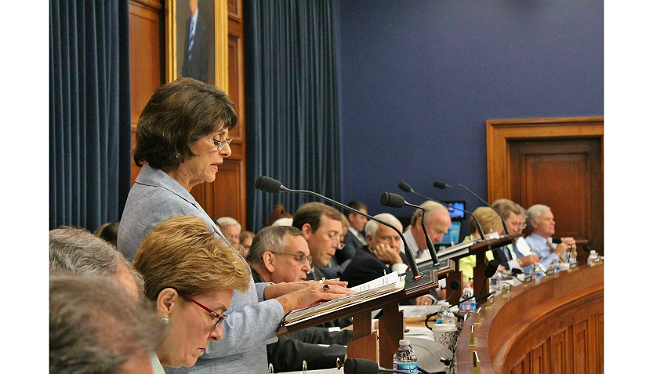 As Ranking Member of the House Homeland Security Appropriations Committee, I help lead the Democratic side in marking up each year’s Homeland Security Appropriations bill. 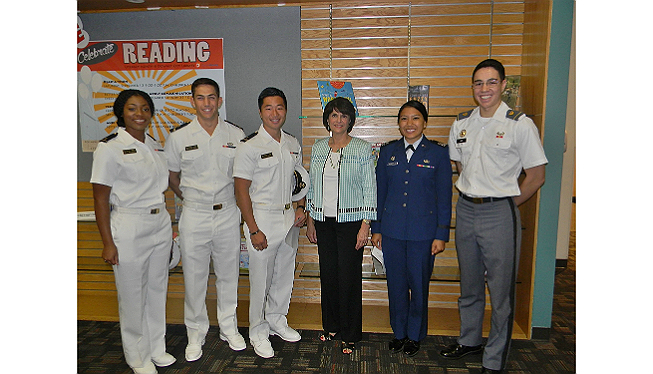 I am grateful to these magnificent midshipmen and cadets who donated their time to come and speak at my service academies workshop for local high school students and their families at Downey City Library. 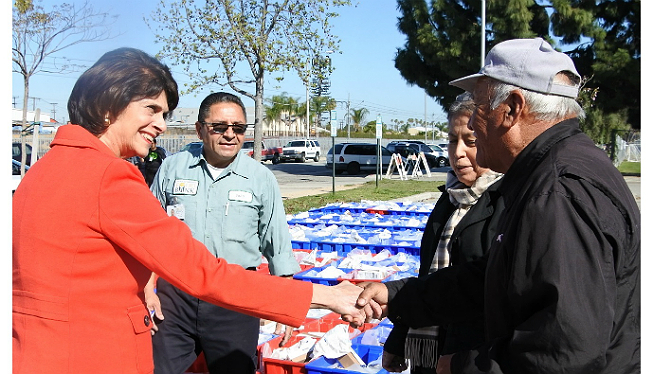 At Florence-Firestone's Roosevelt Park Senior Center to help distribute groceries to seniors. 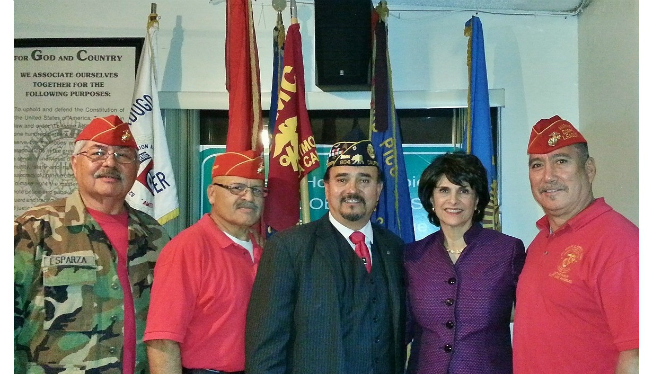 Celebrating the birthday of the US Marine Corps at Eugene Obregon American Legion Post 804 in East LA. 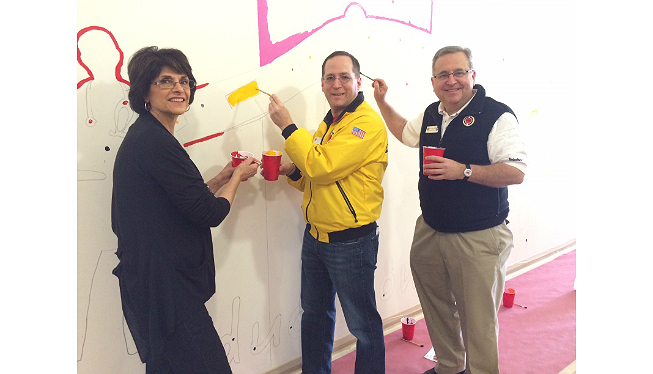 Taking part in City Year's effort to beautify Diego Rivera Learning Complex in South LA. City Year made this their Day of Service project after I recommended that the school needed some color. 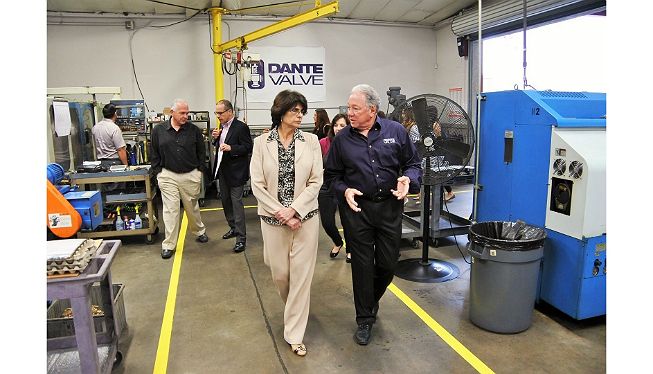 Touring Bellflower’s Dante Valve, one of the 40th District's many outstanding manufacturers. 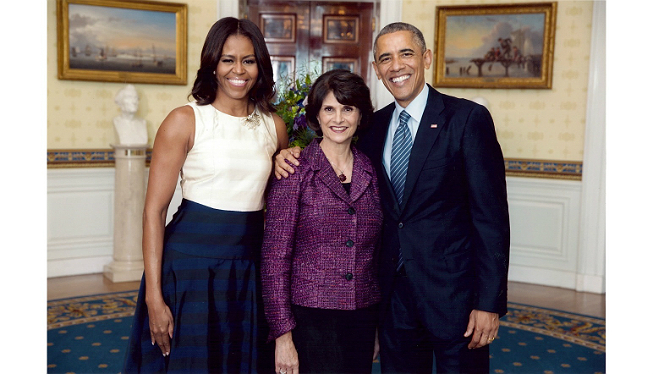 With President Obama and the First Lady at the White House, the day that the President posthumously honored my father, the late Congressman Edward R. Roybal, with the Presidential Medal of Freedom. 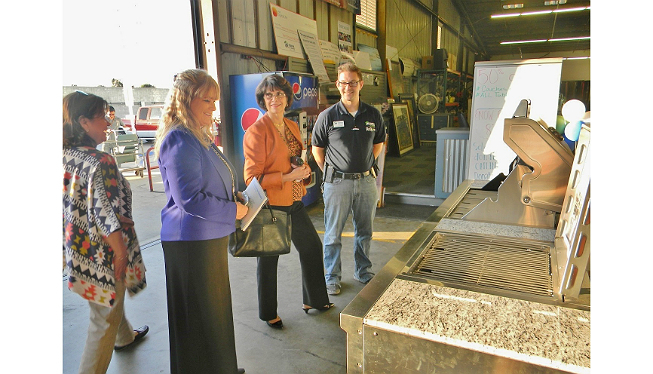 Touring the Bellflower headquarters of Habitat for Humanity of Greater Los Angeles. 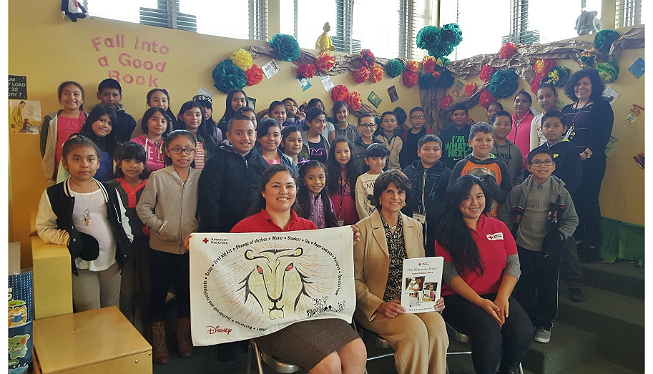 Joining Red Cross AmeriCorps members at Huntington Park’s Lucille Roybal-Allard Elementary to teach students about emergency preparedness. 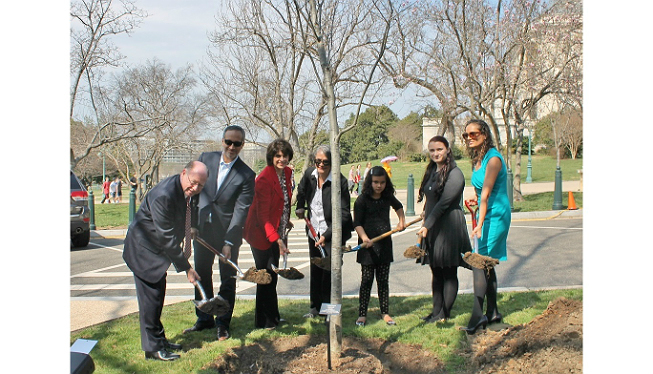 Planting a tree on the US Capitol Grounds to honor my father, the late Congressman Edward R. Roybal. 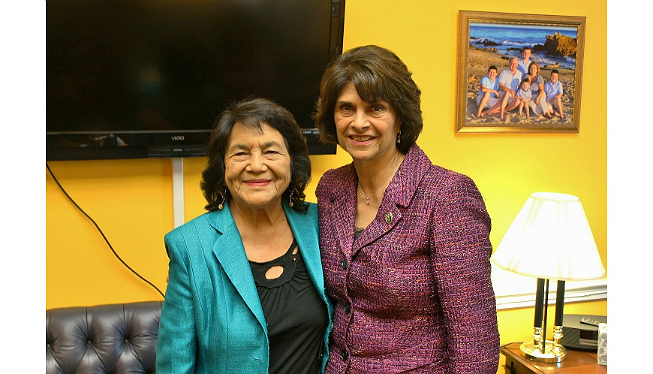 With Dolores Huerta, a true California heroine. 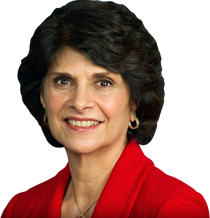 Thanks, Dolores, for all you've done to make our country a fairer and healthier place to live! 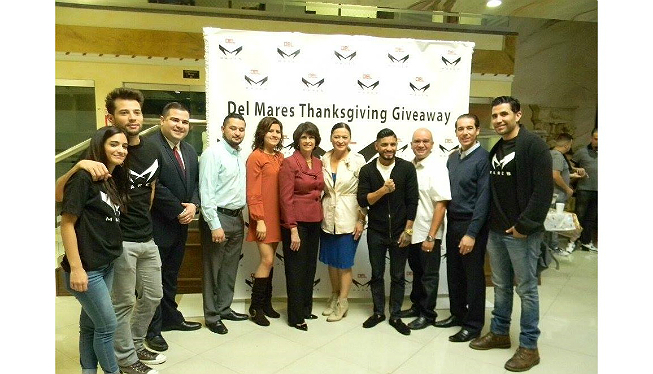 At DEL Records headquarters in Bell Gardens with champion boxer Abner Mares and volunteers to celebrate the donation of nearly 2,000 Thanksgiving turkeys to local organizations. 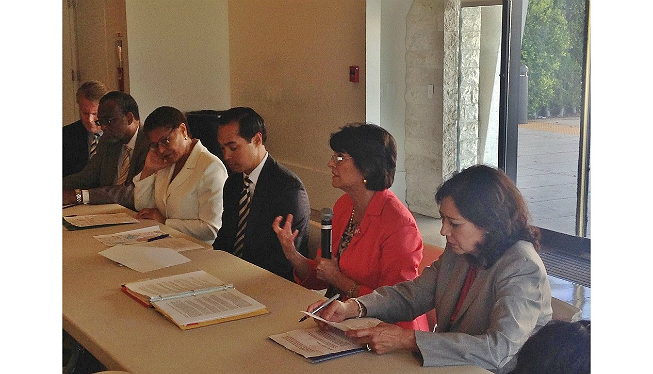 At LA Trade-Tech to speak with HUD Secretary Julián Castro and some of my fellow South LA leaders about the opportunities that exist to improve local housing and bolster the area's economy. 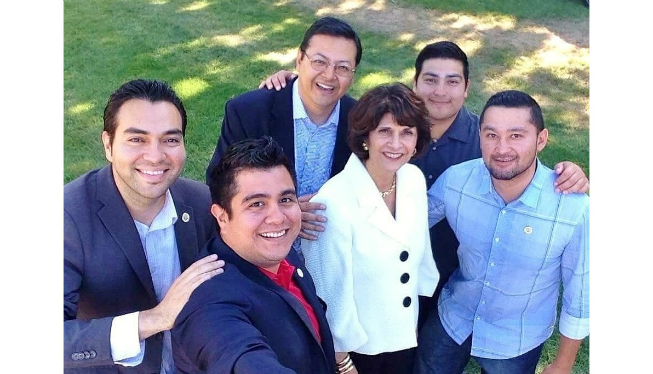 Cudahy City Councilmembers and I wanted to get a photo together, so we harnessed the power of the selfie stick! 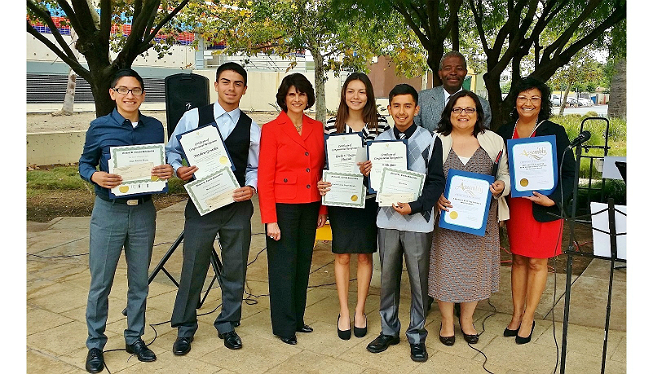 Presenting Certificates of Congressional Recognition to some 40th District scholarship recipients during the East Los Angeles Courthouse's Cinco de Mayo celebration. 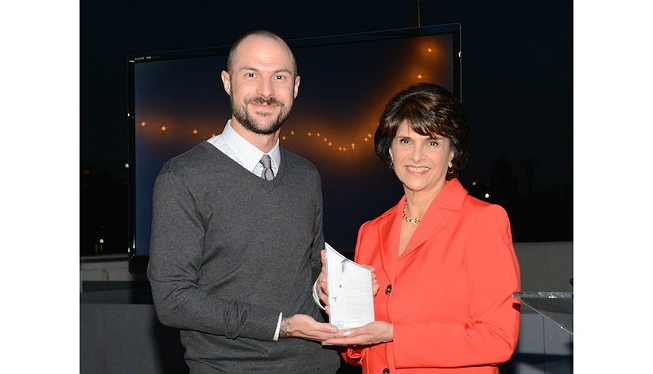 Accepting People for the Ethical Treatment of Animals’ (PETA) first-ever Courage in Leadership Award for my work in Congress to promote the humane treatment of animals. 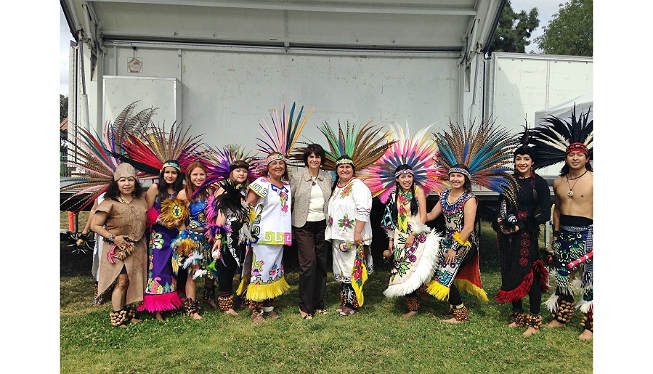 With local dance group Danza Azteca Cultural Ketzaliztli in East LA to help kick off a “Dia de Los Niños” (or “Day of the Children”) celebration. 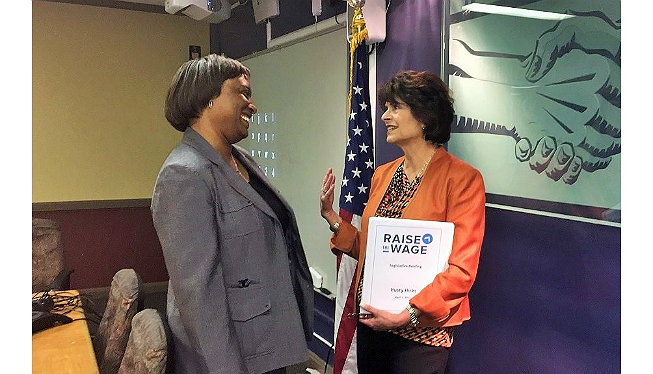 With SEIU Local 2015 President Laphonza Butler discussing important labor issues, including the need to raise the minimum wage. Visiting with senior citizens at Bell's Murray Place Senior Apartments. WONDERING WHAT THE JUDICIAL DECISIONS ON DACA MEAN FOR YOU AND YOUR FAMILY? Read this flyer for info. ¿SE ESTÁ PREGUNTANDO QUÉ SIGNIFICAN LAS DECISIÓNES JUDICIALES SOBRE DACA PARA USTED Y SU FAMILIA? 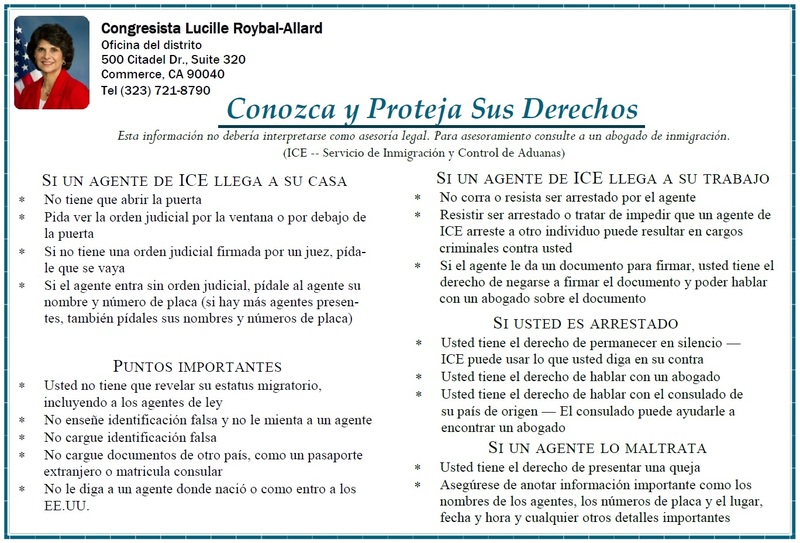 Lea esta folleto para la información. 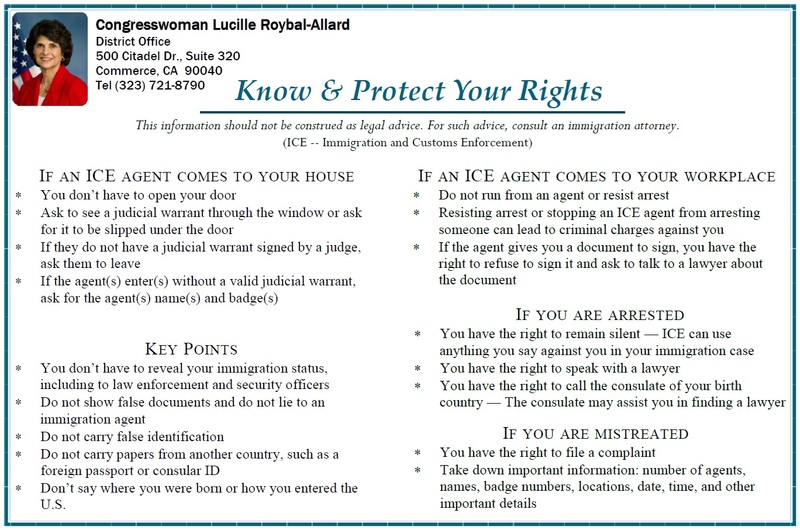 RIGHTS UNDER THE U.S. CONSTITUTION FOR OUR IMMIGRANT FAMILIES AND NEIGHBORS: Read this information about immigrants’ rights under the law. DERECHOS BAJO LA CONSTITUCIÓN DE LOS ESTADOS UNIDOS PARA NUESTRAS FAMILIAS Y VECINOS INMIGRANTES: Lea esta información sobre los derechos de los inmigrantes bajo la ley. 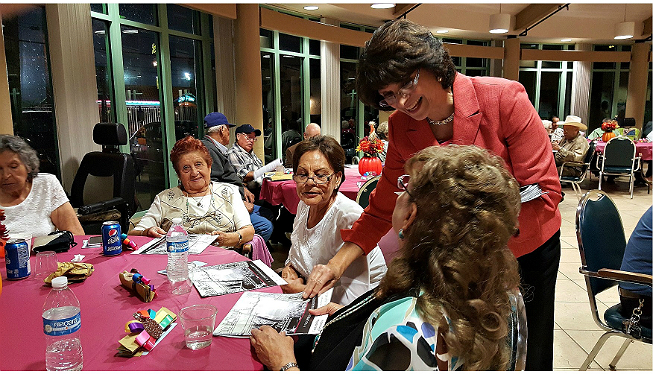 SUBSCRIBE TO MY NEWSLETTER: Take a look at my latest newsletter, which gives my email subscribers a look at the hard work I’ve been doing for my 40th District constituents! If you’d like to receive updates like this, please subscribe to my email list. SIGN UP FOR EMERGENCY ALERTS: Stay up to date on emergencies in your area! Alert LA County offers evacuation orders, shelter in place notices, and other lifesaving emergency alerts by phone message, text, and email. 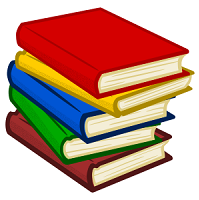 Read more and sign up here. You can also sign up for the LA County Sheriff’s Nixle notifications (with info about neighborhood alerts, safety advisories, road closures, traffic accidents, arrests, missing and wanted persons, and more) by texting LASheriff to 888777. Message and data rates may apply for both services. As people around the world celebrate Easter today, we keep in our hearts the victims of the shocking terror attacks on churches and other sites in Sri Lanka. Everyone should be able to live their life and practice their faith in peace and safety. Congress needs to see the full, unredacted Mueller Report to conduct its constitutional legislative and oversight responsibilities. Based on past investigations, the Department of Justice has no reason to withhold the unfiltered report. We cannot rely on Attorney General Barr and the White House’s cherry-picked analysis to faithfully interpret Special Counsel Mueller’s report for all Americans. We all deserve to see the full report and the underlying evidence so that we can make proper judgements for ourselves. Appalled that the White House tried using migrant families and children as pawns in a bizarre revenge plot against our California communities. The Trump Admin should stop these dehumanizing games, and instead work with us to fix our broken immigration system and ensure just and decent treatment for every migrant.